49ers 34, Texans 3: As you can probably tell from the final score, San Francisco controlled this game. Matt Schaub threw a pick-six within the first two minutes of the game, his fourth in four straight games; he was not happy. 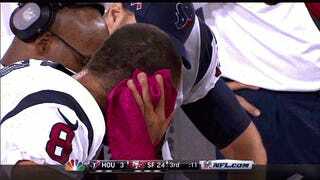 This was after his second pick. His third. Oh, Matt. MATT. 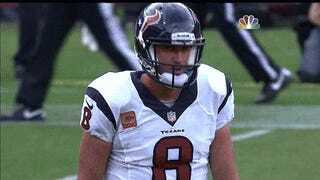 Schaub was benched in the fourth quarter for backup T.J. Yates, most likely out of mercy. The 49ers pulled away with a decent game by Frank Gore, who ran for 81 yards and a TD. Colin Kaepernick only threw 15 times, but he wasn't really required to beat the Texans through the air. 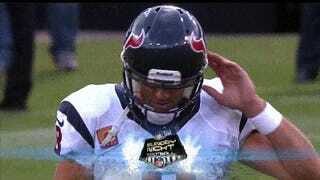 With Schaub's contributions, the Texans beat themselves.